March 1943. "Pearlington, Mississippi (vicinity). 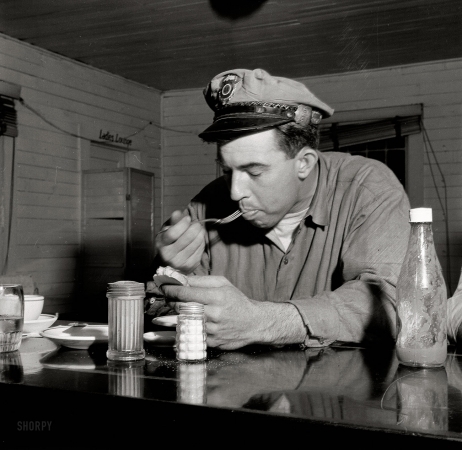 Truck driver eating at a trucker's stop along U.S. Highway 90."